We know you have plenty of options for gyms in Lees Summit MO, but we are the very best life changers you’ve ever met. Professional and serious about helping you achieve your goals. Our capabilities range from extreme weight loss to professional sports performance to competition prep. Whatever your goal we can help. Because we care and this in our profession and we take our jobs seriously. There is a growing amount of people that need our help. We work to positively impact and educate as many people as we can. Changing lives and retraining your mind and body to live a healthy lifestyle forever is our mission. We vow to provide you with a life-changing experience. We guarantee you will leave Shredd feeling better about yourself physically and mentally than ever before (if you ever leave). Shredd is much more than a place to come grab a great workout. We’re a community and you’ll feel that on your first day. Born and raised in Independence; Two older brothers; Two kickass parents; One amazing son; this is me, Ryan Waters. They told me starting a gym at 24 would never work. I am now opening my third location and have personally met, trained, and transformed hundreds of clients. When I’m not at the gym or helping change people’s lives from the inside out, you can find me whipping up something delicious in the kitchen, hanging out with the coolest family and friends, or traveling the world. As a former All-American Defensive End for the Northwest Missouri State Bearcats, I have learned to work just as hard as I play. That means continuous growth both personally and professionally. I love what I do; I live for helping people change their lives and build more confidence than they ever knew was possible. You fuel me to do what I do; let me change your life too. Meet Andrew! Andrew holds a Master Trainer Certification through ISSA. Andrew is a physique competitor who is passionate about helping people achieve greatness/their goals. 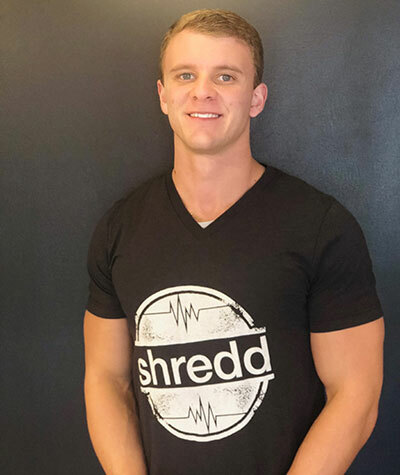 With three years in the industry and 6 certifications, Andrew has the knowledge to transform you into the Shredded machine you have always wanted to be!! From post-rehab exercise therapy to strength and conditioning to stepping on stage for a show Andrew is the guy to get you to your goals! 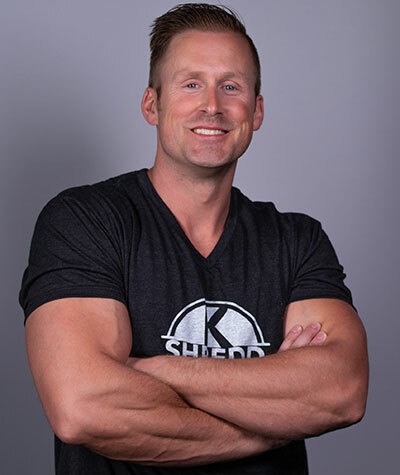 I’ve been personal training at Shredd for approximately two years, I received my NASM personal training certification in October of 2015 and have been training 2-3 days a week here since. Training at Shredd has been a great experience, it’s a great atmosphere for anyone looking to achieve their goals in a fun, yet challenging environment. I’m also a firefighter/EMT at Lee’s Summit fire department where I have worked for 11 years. Exercise and fitness have always been a large part of my life going back to high school and college. I completed my degree at Missouri Western State University in 2004 with a degree in Sports Marketing and a minor in business administration. While in college I played 4 years of basketball at the NCAA level. Away from work and the gym I enjoy spending time with my wife Amanda and our 2 daughters, Mya 6 and Palmer 2, they definitely keep me on my toes and keep life interesting. Gratitude. Deshae’ has a passion for designing programs that are appropriate to a clients age, body type, and fitness goals. These programs will maximize workout efficiency, improve fitness levels, increase stamina and develop an overall sense of wellbeing. 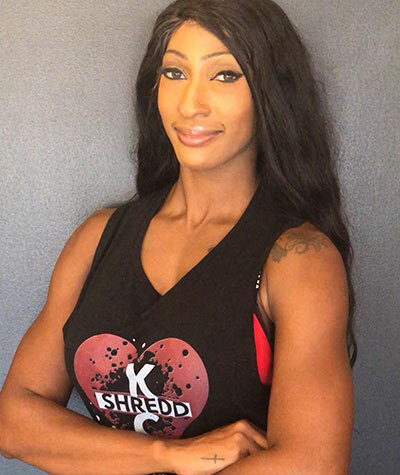 With years of experience In Nutrition and Fitness and being a Fitness Competitor Deshae’ has a motivated drive to apply education and enthusiasm in supporting clients in their Total Body Transformation Journey! 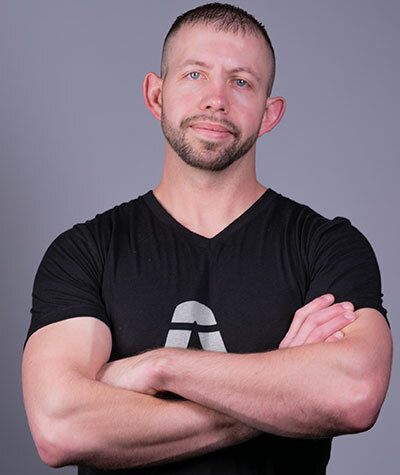 Josh is a Personal Trainer with NASM and holds an Associates Degree in fitness and nutrition coaching. Josh has a passion for the fitness industry and staying informed, educated and current with the constant evolution in this profession. He enjoys designing programs that are customized to his client’s age, body type, health concerns, and fitness goals. He insures his clients maximize their workout efficiency, increase stamina and develop overall improvement with their fitness. Josh offers personal training and custom nutrition and meal plans. He also has extensive knowledge of supplements and how they can improve and enhance his client’s experience as he guides them to successfully achieve their goals.